No one really knows what the final numbers will be when the dust settles, but we already know the most important outcome of the November 2 elections: The strategy Democrats used to pass legislation during the 111th Congress will no longer be operative. Even if Democrats retain narrow majorities in both the House and Senate (a bet I wouldn’t take), Republican gains in the Senate will be too large to allow the Democrats to get to 60 votes by uniting their party and picking off two or three Republican moderates. So the options for the 112th Congress reduce to two: either confrontation and gridlock, or a new discussion across party lines. The majority prediction inside the Beltway is the former, but as frequently happens I find myself in dissent. To be sure, the majority can draw upon a lot of supporting evidence. An already polarized party system will become even more so; the new Republicans will be even more conservative, and the remaining Democrats will mostly be liberals. Lots of new Republicans in Congress will either represent Tea Party views or be beholden to its supporters, and veterans will be looking over their shoulders to see whether primary challengers are coming up behind them. In the early months of next year, anyway, conservative enthusiasms will find vociferous expression, and confrontation will predominate. The question is what happens after that. After a fast start in early 1995, Newt Gingrich & Co. found out the hard way that they had been sent to Washington to check Bill Clinton, not to push their own agenda. When they refused to yield on budget proposals that would have imposed large cuts on Medicare and Medicaid, as well as education and environmental programs, and decided instead to shut down the government, the American people sent a loud signal that they had gone too far. It wasn’t long before the Republican leadership came to the table, to the dismay of their more rabid backbenchers, and some genuine accomplishments followed in 1996 and 1997. Could history repeat itself, or at least rhyme? 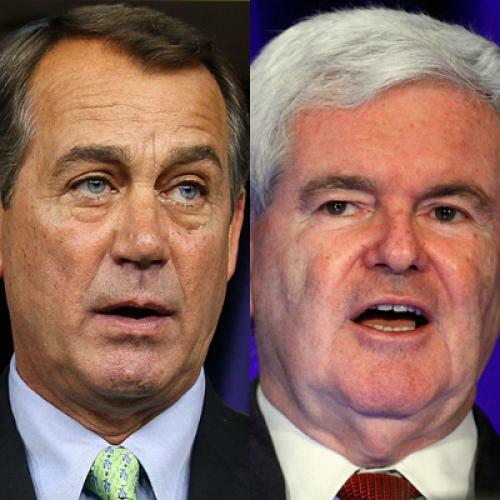 Well, rumor has it that while John Boehner will face an exquisitely difficult job of managing his coalition, he is determined not to repeat Newt Gingrich’s mistakes. And if his troops do manage to force his hand, the new tranche of conservative insurgents will discover that the people’s appetite for limited government remains ... limited. Beyond these measures lie the issues that will require sustained presidential leadership. If President Obama hopes to redeem his pledge of doubling exports within five years, he will have to assemble majority support for a trade package that gets tough on China while moving long-stalled bilateral pacts to the finish line. He will have to persuade reluctant conservatives that many of their own supporters favor increased investment in infrastructure. If he wants to draw down troops in Afghanistan slowly, rather than precipitately, he will have to rely on Republican votes to replace dwindling support within his own party. And if President Obama is serious about going down in history as a transformative president, he will have to address our country’s long-term fiscal challenges more comprehensively than he has so far. This summer, Joint Chief of Staff Chairman Mike Mullen stunned his audience when he declared that "[o]ur national debt is our biggest national security threat.” Sometime next year, we’ll find out whether Obama agrees, and whether he is prepared to reach across the aisle to do something about it.